Today we sheet mulched a site for next winter's restoration. Sheet mulching is fairly simple, but it requires teamwork and close coordination between teams. First smooth the site and dig an anchor trench at the top of the slope. Then lay cardboard and wet it, lay jute on top, add mulch, spread it, and repeat until done. Fill the anchor trench and admire your handiwork. 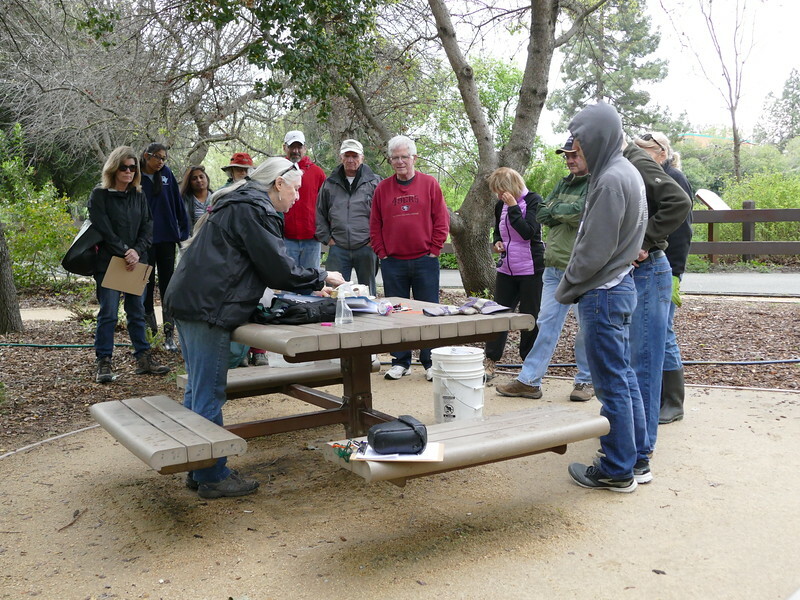 Mary explains the sheet mulching process to the group before we begin work.